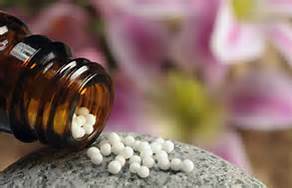 Homeopathy can be a recommended addition to any of the other treatments offered. It is not done as a sole visit. Although homeopathy dates back to Hippocrates and possibly even further, modern homeopathy is a 200-year-old modality developed by German physician, Samuel Hahnemann. He felt that all symptoms are the expression of a general reaction of the patient as a whole and that "like cures like"—the notion that a disease can be cured by a substance that produces similar symptoms in healthy people. Homeopathy was a dominant medical system in the U.S. in the 19th century. It was gradually replaced by what Hahnemann termed "allopathy," that is, a system of medicine based on treating with substances that directly counter symptoms. Clinical Homeopathy, as practiced today, is very close in principle and methodology to Dr. Hahnemann's teaching from the late 1700's. Homeopathy is natural and nontoxic, so it is safe to use in both adults and children. Homeopathic remedies are capable of affecting a broad scope of ailments. They encourage the body’s own mechanisms to work properly and encourage healing. They do not interfere with allopathic (Western) medical treatments and perhaps enhance its effects. The possibility of an allergic reaction is unlikely due to the final preparation containing sugar and water. Their cost is less than most prescription medications. Homeopathic remedies are prepared in a unique way. The original substance is initially dissolved in water or alcohol. This is then diluted 100’s of times. Each solution is shaken vigorously before being diluted again. The final preparation is often formulated as sugar pellets to be placed under the tongue; they may also be in other forms, such as ointments, gels, drops, creams, and tablets. The current theory of how this works is that water is a charged particle and can contain a "memory" of the substance dissolved in it. The body recognizes the substance and reacts to it. Studies have tried to determine whether effects from homeopathic treatments are placebo or whether some other action occurs. Although these studies could not identify how homeopathic solutions work, there was evidence that homeopathic dilutions differ from placebos.1 Homeopathic remedies must contain active ingredients that are listed in the Homeopathic Pharmacopeia of the United States (HPUS) and are monitored by the FDA. The National Institute for Health’s National Center for Complementary and Alternative Medicine (NCCAM) has declared that, "A systematic review has found that homeopathic remedies in high dilution, taken under the supervision of trained professionals, are generally considered safe and unlikely to cause severe adverse reactions." Patients often ask, "How are those little white sugar pills going to help my condition?” The practitioner matches the symptoms of the patient with the known symptoms caused by the remedy, from symptoms that were produced in test situations. For example, when slicing an onion, a person may experience burning and tearing of the eyes, along with a watery nasal drainage. Allium cepa (homeopathic onion) is used to treat a person experiencing those symptoms, whether the symptoms have occurred from a cold, allergies, or sinus issues. As the remedy is taken, the symptoms improve though the body’s natural healing mechanisms. The beauty of homeopathy is many-fold. It has withstood the test of time, lasting more than 200 years. It is very popular throughout the world, and increasingly so in the U.S. The British Royal family has had a homeopath as its personal physician since 1830 and 42% of British physicians refer to homeopaths. Approximately, 11,000 French physicians use homeopathy. In India, there are more than 120 homeopathic medical schools and homeopathy is the first choice of most family practitioners. 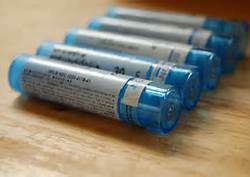 The World Health Organization has endorsed homeopathy as safe and effective for use in third world countries. 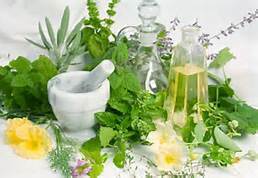 According to the 2007 National Health Interview Survey, which included a comprehensive survey of the use of complementary health practices by Americans, an estimated 3.9 million adults and 910,000 children used homeopathy in the previous year.